This large format book (8 ½ x 11) has over 400 pages, is blessed with around 300 photographs and is fully indexed. 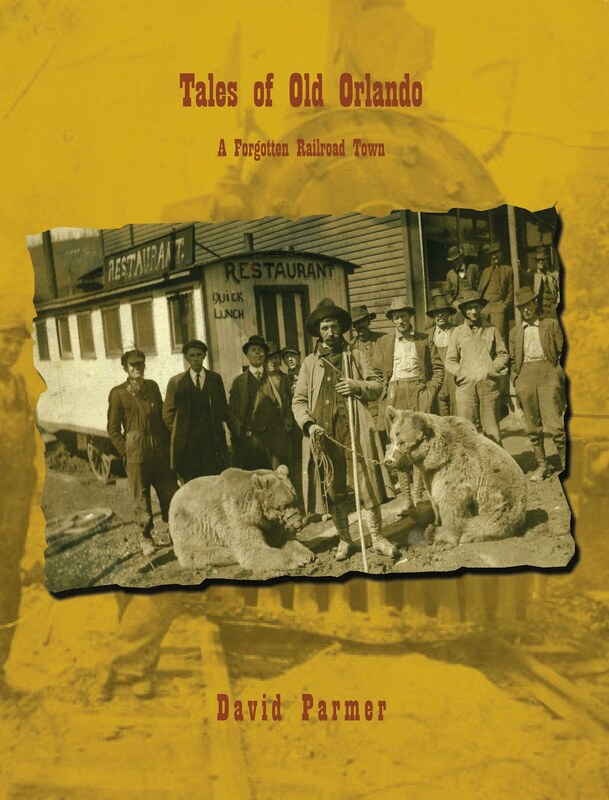 This book of stories about the Orlando area and its people of by-gone years includes stories of murder and mayhem, fun and frolic, railroading and farming, and the trials and tribulations of the hard working people who pioneered and populated the hills and valleys around this former railroad town. This book preserves Orlando's story for those of us who seek America's roots and our own. The cost of the book is $45 plus $5 for shipping, and is available from David L. Parmer, P. O. 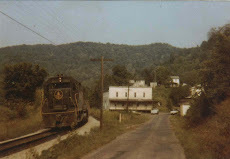 Box 39, Hinton, WV 25951. You may contact him at gbrcliffs@frontier.com or by phone at (304) 466-4466. P. N. “Newt” Blake was born just after the Civil War, in 1867, and lived his entire life in the Orlando area until his death in 1951. Writing a news column titled the “Buzzard Town News” under the pen name “Uncle Zeke” for several area newspapers, Blake delighted readers with his wit and wisdom from 1894 until 1936. Although his formal education spanned but a few months of primary school, his writing and insight belie his lack of academic credentials. He wrote from the heart about issues that mattered to him and was of import to his community and the nation, provoking laughter and moralistic thought. For over four decades he entertained, cajoled, preached and gave his view of the news to his friends and neighbors of Buzzard Town, and to his thousands of readers. Uncle Zeke's simple home on Oil Creek, alongside the Baltimore and Ohio Railroad track, is now rotted into the ground without a trace. No museum bears his name; no obelisk marks his grave site. No books have told his story; and no highway marker proclaims where he lived. Only a few are left who knew his name when his newspaper columns were being read throughout central West Virginia from the time of the presidency of Grover Cleveland to the third term of Franklin Roosevelt. The Bard of Buzzard Town has lain for over sixty years, in a hilltop cemetery in Orlando. This book seeks to introduce a new generation of readers to this humble man of humble birth, who wielded a mighty pen. 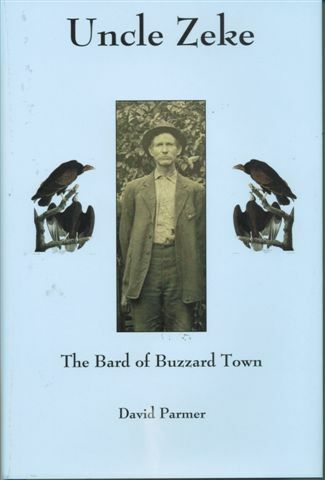 The Bard of Buzzardtown will be of interest to American, Appalachian and Central West Virginia historians, collectors of humorists and folk stories, railroad aficionados, and descendants of the Oil Creek area, among others. This hardback book with dust jacket, with 182 pages and index, can be purchased from the author for $25 plus $5 shipping. Contact David Parmer, P. O. Box 39, Hinton, WV 25951 or at gbrcliffs@frontier.com. editor's note: Hooray for David! This is the best!